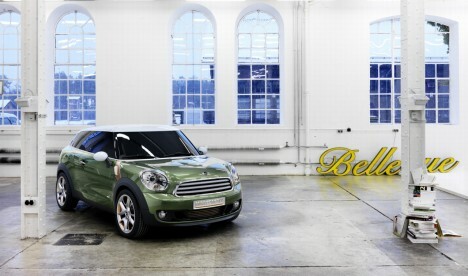 Images of MINI’s Paceman concept, due to be unveiled at the Detroit motor show in January, have emerged for the first time. The Paceman is the first Sports Activity Coupé in the premium small segment of the market. The Paceman has been designed to combine the classic MINI concept with the defining features of the MINI Countryman and the style of a coupe. The concept car has large headlights and chrome surrounds that extend deep into the front wings along with a contoured bonnet. The radiator grille is essentially the same as that of the Cooper S Countryman barring additional air intakes in the bumper. The coupé-style windows taper towards the rear and the whole effect is one of a dynamic wedge shape. The model is powered by a MINI John Cooper Works 1.6l twin-scroll turbocharged engine which develops 211 hp and 260 Nm of torque. 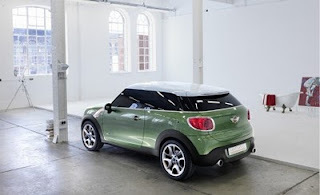 The Paceman has yet to be given the official green light, but BMW sources say that the car should go on sale in 2012 at the top of Mini’s price range with a starting cost of over £22,000 for the front-wheel-drive version. It will be officially revealed at the North American International Auto Show (NAIAS) in Detroit on January 10th, 2011.